Accuser Summer Zervos was a contestant on Trump’s reality TV show. Fresh off a victory in President Donald Trump's ongoing legal battle with adult-film star Stormy Daniels, his attorneys will be in a New York appeals court Thursday afternoon over another defamation lawsuit -- this one by Summer Zervos, a former contestant on Trump’s reality TV show, who alleges that he groped and kissed her without her consent in 2007. Zervos sued Trump in New York state court last year, alleging that he defamed her on 18 separate occasions during the closing weeks of the 2016 presidential campaign after she and more than a dozen other women went public with allegations of unwanted sexual advances by Trump. “Every woman lied when they came forward to hurt my campaign, total fabrication,” Trump said at an October 2016 campaign rally in Pennsylvania. “The events never happened. Never. All of these liars will be sued after the election is over." The president's lawyers hope to convince a panel of judges on Thursday to dismiss Zervos' lawsuit, contending in court filings in advance of the hearing that the “meritless” and “politically-motivated” claim should be dismissed or, alternatively, delayed until Trump leaves office. They cite the Supremacy Clause of the U.S. Constitution, which establishes federal law as the supreme law of the land, to argue that Trump is immune from civil actions in state court. (Susan Walsh/AP, FILE) President Donald Trump walks to Marine One on the South Lawn of the White House, June 1, 2018. “This action - like any other action against the president in any of the thousands of state courts across the country - should be dismissed or, at a minimum, stayed during his term in office,” Kasowitz wrote. “Nothing in the Supremacy Clause of the United States Constitution even suggests that the president cannot be called to account before a state court for wrongful conduct that bears no relationship to any federal executive responsibility,” Justice Jennifer Schecter wrote in a March opinion. 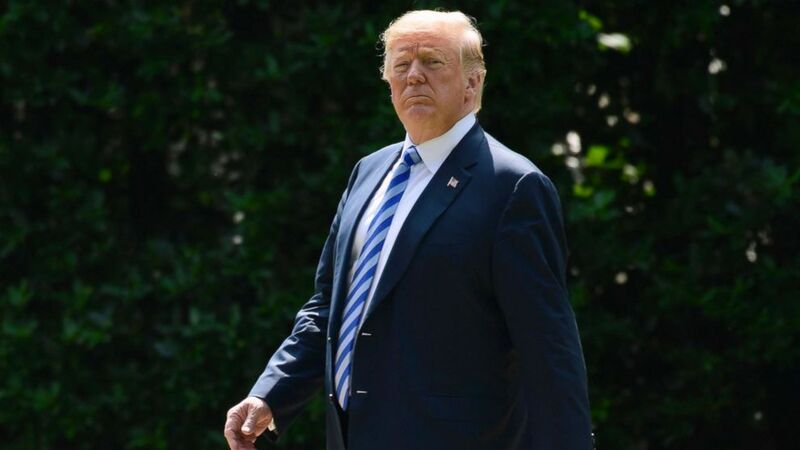 Schecter’s ruling also discounted Trump’s contention that his comments on the campaign trail amounted to heated political rhetoric in response to the allegations from Zervos and the other women who came forward prior to the election. “That defendant’s statements about plaintiff’s veracity were made while he was campaigning to become president of the United States, does not make them any less actionable,” Schecter wrote. Though Otero’s ruling came after the parties filed their briefs with the New York appeals court, it is likely to feature in the Trump team’s oral arguments before the panel. 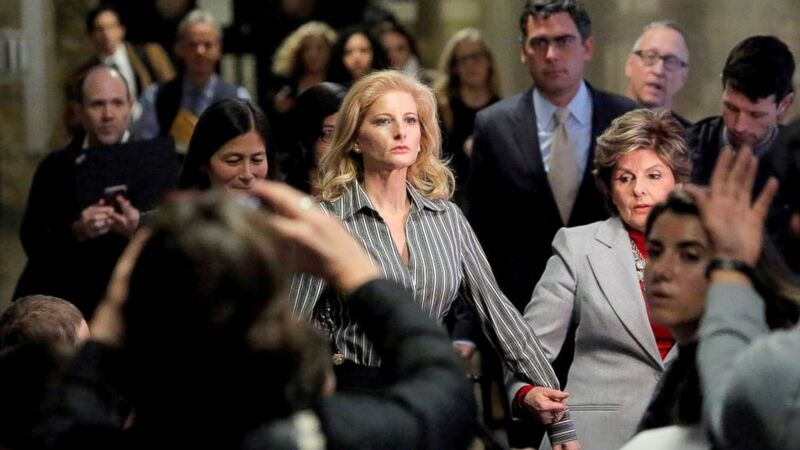 (Andrew Kelly/Reuters, FILE) In this file photo, Summer Zervos, a former contestant on The Apprentice, leaves New York State Supreme Court with attorney Gloria Allred (R) after a hearing on the defamation case against President Donald Trump in Manhattan, New York City, Dec. 5, 2017. Mariann Wang, an attorney for Zervos, contends that Trump and his attorneys have been trying to spin the case to make it about something that it is not. “This case is not about robust political debate,” Wang wrote in a filing with the appeals court. Hovering over the Zervos dispute is the U.S. Supreme Court’s 1997 unanimous opinion that allowed a sexual harassment lawsuit brought by former Arkansas state employee Paula Jones against President Bill Clinton to proceed in federal court. Both sides in the Zervos case have hitched their arguments to elements of the Jones decision to support their respective positions. Wang asserts in court filings that the Jones case “provides powerful persuasive authority” to reject Trump’s arguments that defending the lawsuit would consume an inordinate amount of his time and impede his ability to do his job. Trump’s attorneys, though, point out in their legal briefs what they argue is a critical distinction: While the Zervos case was filed in state court, the Jones case was brought in federal court and concerned a dispute between two branches of the federal government. The president’s lawyers have highlighted in their arguments that the Supreme Court opinion in the Jones case, authored by former Justice John Paul Stevens, essentially punted on the question of whether it would apply similarly to immunity claims in civil lawsuits filed in state courts. (NBC) Summer Zervos is pictured on an episode of the fifth season of "The Apprentice" that aired on Feb. 27, 2006. “Whether those concerns would present a more compelling case for immunity is a question that is not before us,” Stevens wrote. Stevens also noted in the opinion that allowing the Jones case to move forward against Clinton would be “unlikely to occupy any substantial amount” of his time. That prediction turned out to be wildly off-the-mark. Clinton’s deposition in the case – along with his grand jury testimony focused on his relationship with Monica Lewinsky – eventually led to his impeachment in the House of Representatives. In arguing for dismissing or delaying the Zervos case, Trump’s lawyers emphasized the fallout from that decision on the Clinton presidency. “It is beyond reasonable debate that a private action can occupy an inordinate amount of time, derail an agenda, and impede the ability to govern,” Kasowitz wrote. Kasowitz has suggested in court hearings that the Zervos case will eventually work its way up to the Supreme Court, which is now at full strength with the recent confirmation of Justice Brett Kavanaugh, President Trump’s second nominee to be seated on the high court. But the case, which is now at pre-trial discovery at the trial court level, will first have to work its way through the state court system, which could take several months or more. If Trump loses this round, the next step would be the Court of Appeals in New York, the state’s highest court. Zervos’ legal team has issued subpoenas to the Trump campaign and the Trump Organization requesting documents associated with Trump’s statements about her and other women who accused the president of sexual misconduct. They is also seeking outtakes from episodes of "The Apprentice" and records from the Beverly Hills Hotel, where Zervos alleges Trump groped her during what she thought was going to be a business meeting. Zervos will ultimately seek to depose the president. A hearing is scheduled next week on her motion to compel Trump and his campaign to provide documents and information about the other women who went public with complaints. Trump’s attorneys have resisted the request, but Zervos’ legal team contends the information is “material and necessary” to her case.